The inground swimming pool market has changed quite a bit in the last 20 years. For example, there was a time in the 1980s and 90s that vinyl liner pools were the most popular inground pool choice in the Northeast part of the United States. Should I continue to replace my vinyl liner even though the structure of my pool is also starting to look really bad? Or should I just get a fiberglass pool shell and insert it where the old pool was? This is a question that we hear more and more of at River Pools and Spas. In fact, we have averaged at least 1–2 vinyl liner tear-out/fiberglass pool replacements over the last 7 years. But the main point to this blog is to help vinyl pool owners understand what is entailed when replacing an existing vinyl inground pool with a fiberglass insert. Many pool owners have the misconception that the replacement of a vinyl liner with a fiberglass insert will be cheaper to install because the hole is already there. This could not be further from reality, though. In order to properly install a new fiberglass pool in an existing vinyl structure, the entire old structure must be completely torn out. This means the liner, wall panels, vermiculite floor, etc need to be removed. Once this is accomplished, the hole must be brought up to the proper grade with gravel. This gravel (some builders also use sand) will be used to backfill the sides of the pool as well, which means the cost of additional gravel can get expensive, especially if the previous pool was wider than 16'. In most cases, the old decking/patio area will have to be, or at least should be, removed as well. 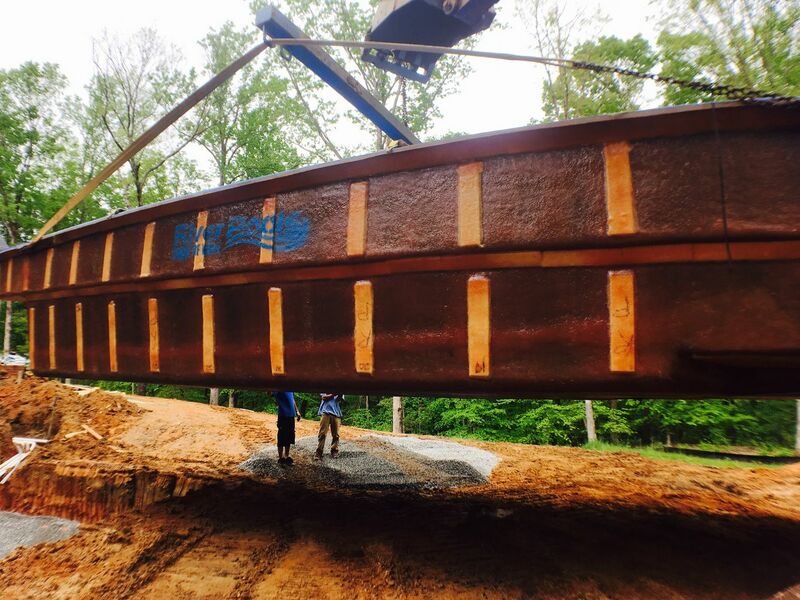 This stems from the fact that large equipment will be used to install the new pool and the pool itself should have at least 3' of concrete around it, which is connected to the fiberglass lip to form a structural bond beam. Also, with the way concrete and pavers age over time, it usually looks pretty silly to have a brand new fiberglass pool and concrete border connected to an aged existing patio. So to make a long story short, for those of you who are looking to replace your liner pool with a fiberglass shell and think you're going to save money, I bring you the unfortunate news you most likely will not. In fact, I have found that the average tear-out costs are 3-7k more than a normal install. Notwithstanding these costs though, more and more homeowners are electing to replace their vinyl pool with a permanent fiberglass unit. For example, last year I had a customer in La Plata Maryland that had owned his liner inground pool for 20 years. He was getting ready to replace the liner for the 4th time during that span and was frankly sick and tired of having to deal with it. Plus, his concrete patio was really showing its age. Therefore, this customer decided to bite the bullet and completely replace the old pool and patio with a new one, as he plans on being at his home for many years to come and wanted to make the best decision for the long term. And what were the end results? Well the customer was thrilled with his choice. In fact, of all the many vinyl liner pool replacements we've done at River Pools, we've never had one customer regret their decision, despite the higher costs. View the following video to see a complete vinyl liner to fiberglass pool (Riviera 15'x34' model made by Leisure Pools) replacement performed by Signature Pools of Chicago.